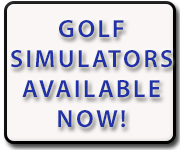 Come out and experience “AFFORDABLE GOLF” at National Road Golf Course, located three miles west of West Jefferson on Rt. 40. The course was built with beginners, seniors and juniors in mind. Features of this par-71 course include watered tees and fairways, watered bentgrass greens, putting green, grass practice tee and golf lessons by appointment.